It’s completely coincidental that this week’s C&D, an alternate history version of World War II called Relic of War happens to occur while I’m actually in Germany looking for an apartment. In comparing the game to my trip, the ferocity of the Nazi’s fictional takeover of the world couldn’t run more opposite from my delightful little invasion of Berlin. In fact, I’ve been welcomed (for the most part) with quite a bit of hospitality, which makes the game’s premise quite hard to wrap my head around at this point in time but fun to play nonetheless. 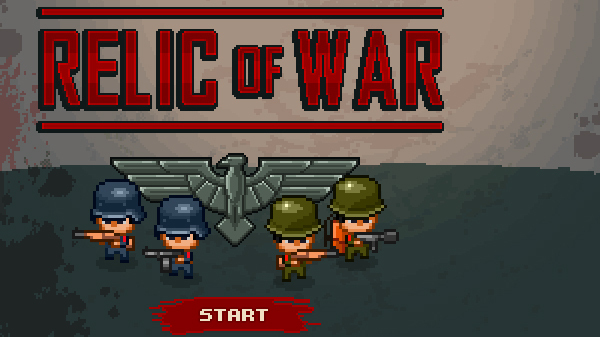 If you happen to be a fan of the Necronator or Infectonator series, then Relic of War’s play style as well as its developers, Toge Productions, should be very familiar to you. Instead of unleashing upgradeable zombies or medieval beasts across the planet, you control either the continued Axis invasion of the planet or the Allies’ battle to retake occupied lands. The interface is easy to use as you merely select the troop type (the usual WW2 tropes) from a cute little menu and then they go about their business of busting caps in butts and blowing buildings up. There is an option to play the game in a more RTS fashion (with more direct control of your troops), but I got a lot of satisfaction just watching my little buddies do the work on their own. I would have liked to do a bit more, like give a couple inspirational speeches, but the only really good one I know is Bill Pullman’s Roswell speech from Independence Day. I guess it could probably fit into the context of my playtime with a few minor modifications. You know you’re winning when everyone starts peeing blood. The game is a good time waster, but definitely not a waste of time. I love the old-school graphics and it’s nice to be able to pop into a game and fully understand all of the mechanics within a few minutes. That being said, it’s not the type of game you’ll have to or even want to invest a whole lot of time in because it does get a bit tedious after a while, especially if you’ve played the other games in Toge Productions’ catalog. If you happen to have a half hour to burn or really want to do poorly on a history lesson, than I recommend Relic of War. I also recommend visiting Germany; it’s a fantastic country and the women here have really solid rear ends as do the men. Not sure if Germany has an official slogan, but if not then I think “Germany: We’ve got great butts” is one to consider.